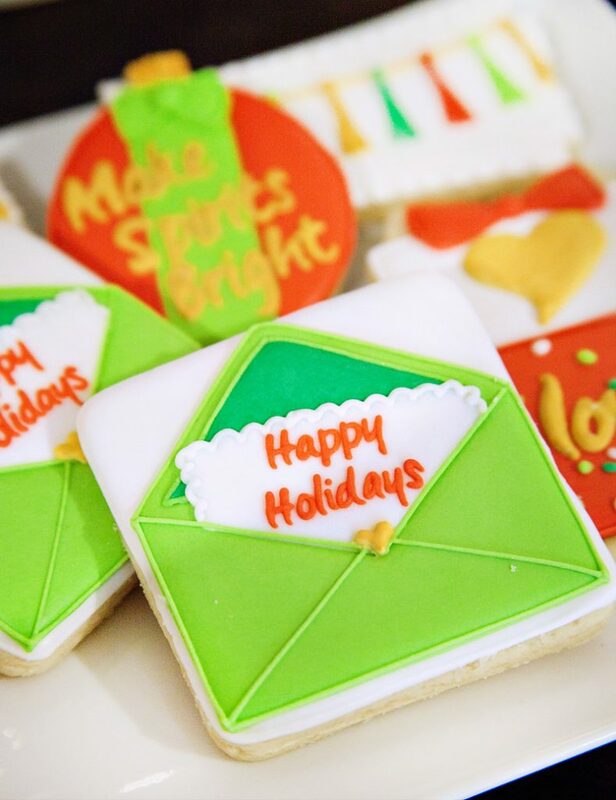 Get a head start on holiday decorating – and celebrating! 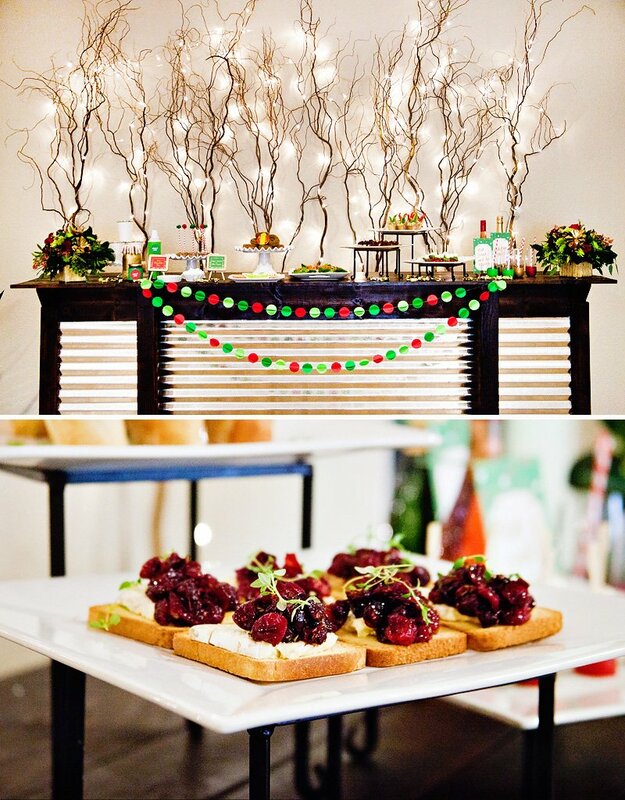 – with this super festive inspiration from Maureen of Party a la Mo. 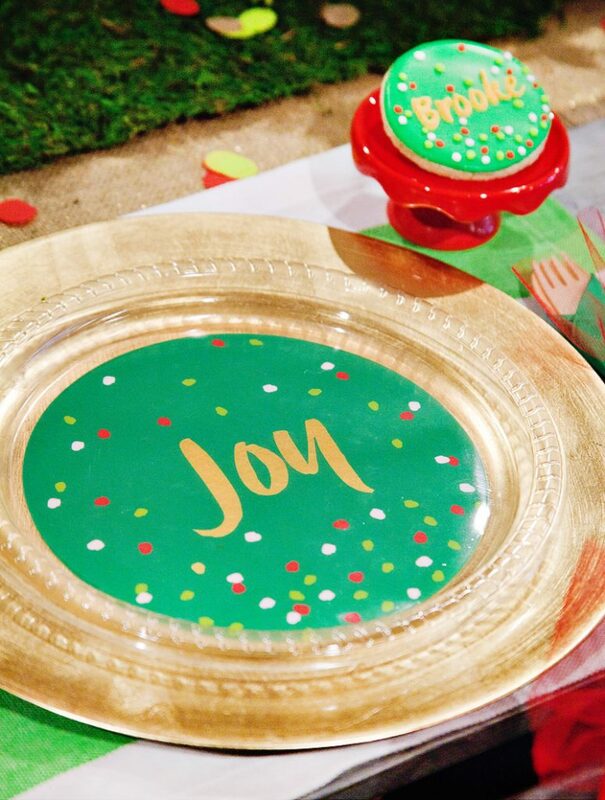 In her crafty Holiday Prep Party, she shares stylish decorating ideas like a “Merry and Bright” canvas studded with tiny white twinkle lights, balloon-dipped drinkware (one of my own favorites! 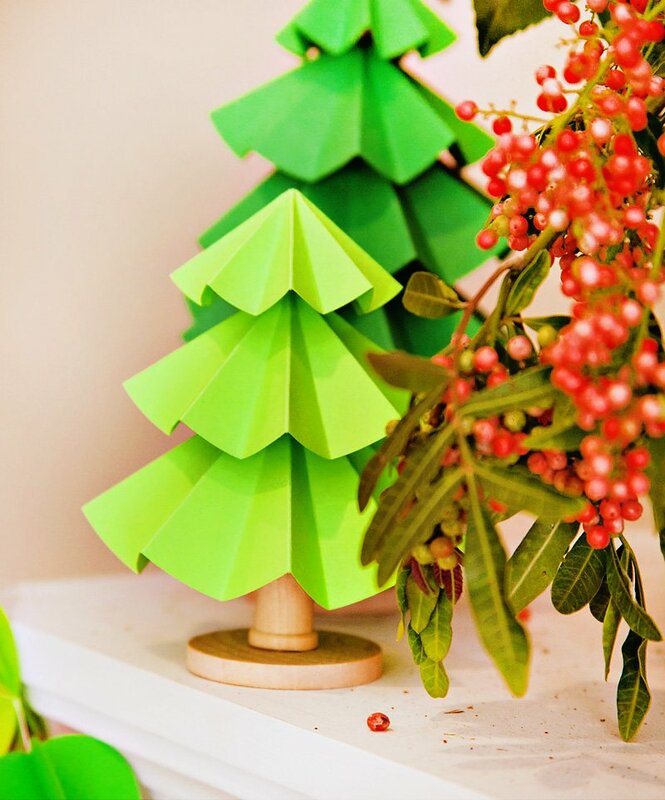 ), and DIY folded paper Christmas trees. 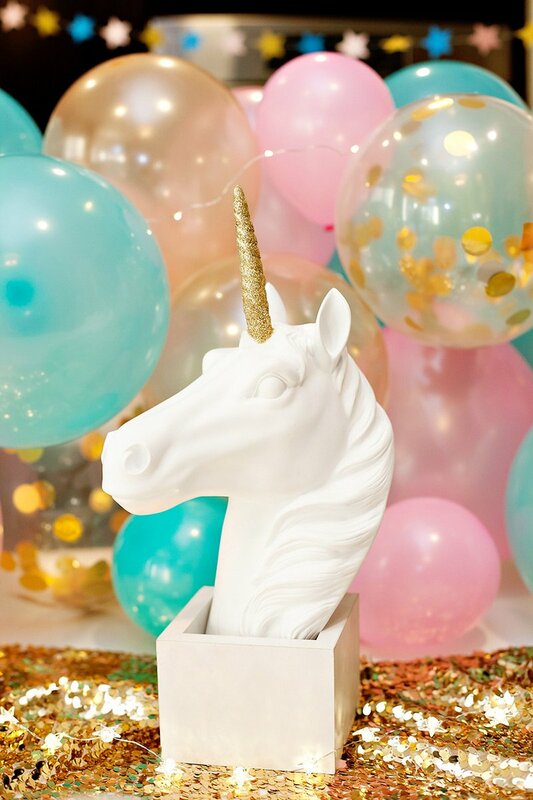 Best of all, this is a party that’s fun AND productive… I mean, what better way to start crossing things off your seasonal to-do list (holiday cards, gift wrapping, advent calendars, ornament decorating and more!) than with a few close friends and some yummy winter treats, right?! 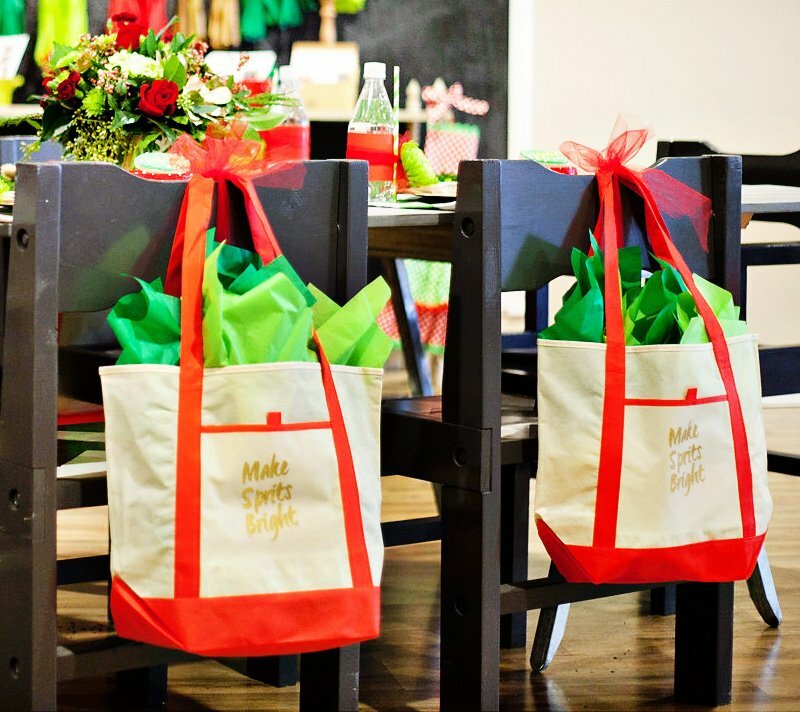 – “Make Spirits Bright” custom canvas tote bag chair back and party favor! 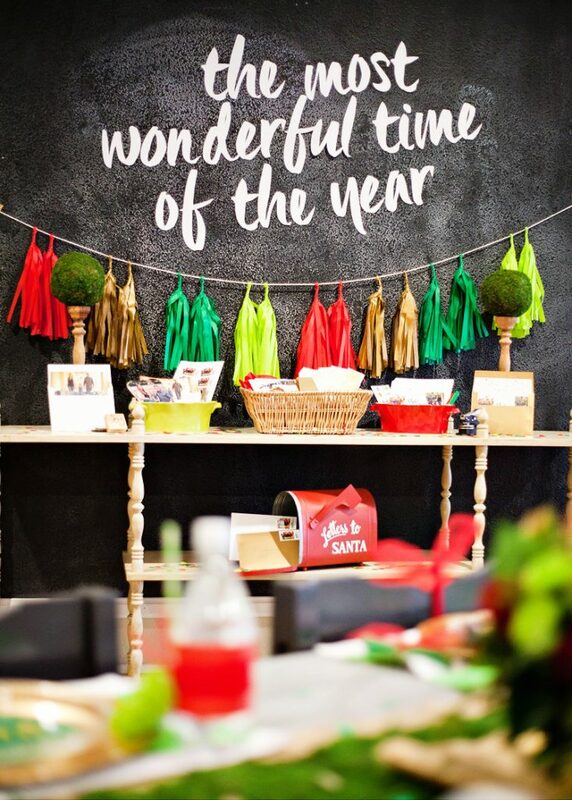 Our Holiday Preparation Party is all about putting the fun back into getting ready for the holidays. 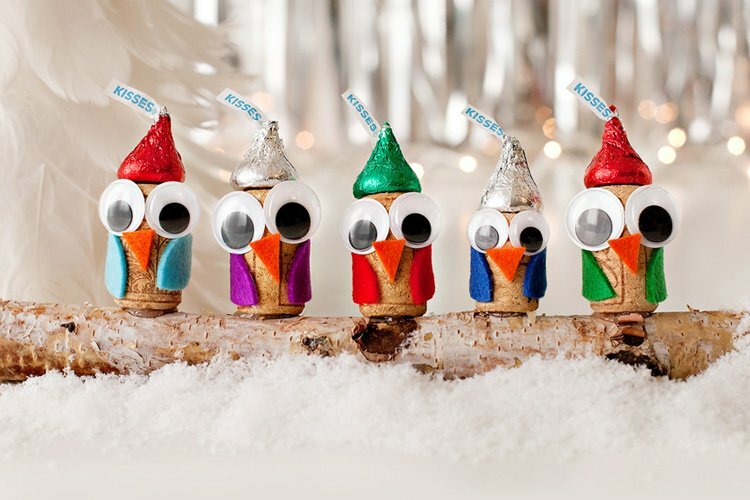 Too many years have gone by where the holidays sneak up on me and seemingly fun activities become stressful. 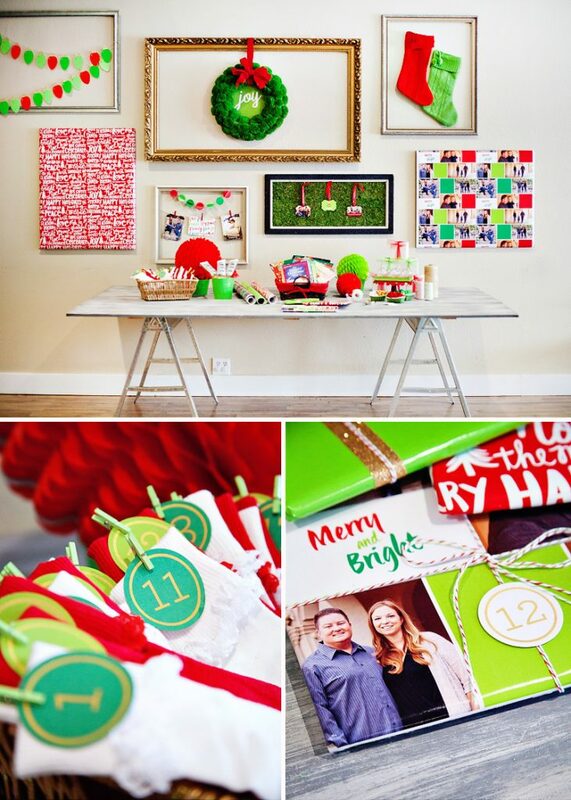 This year the holiday cards will actually be addressed and mailed in time, the advent calendar will be ready on December 1st, and I’ll even have a few crafts completed for our home décor. The best part is that I got it all done while having fun with friends! We kept the event small so that we’d have the time and space to get everything accomplished without it becoming too chaotic. I’d recommend inviting 2-4 of your close friends or family members. Tell them to bring along their holiday cards, address list, advent calendar supplies, and anything else they need to work on to prepare for the upcoming season. 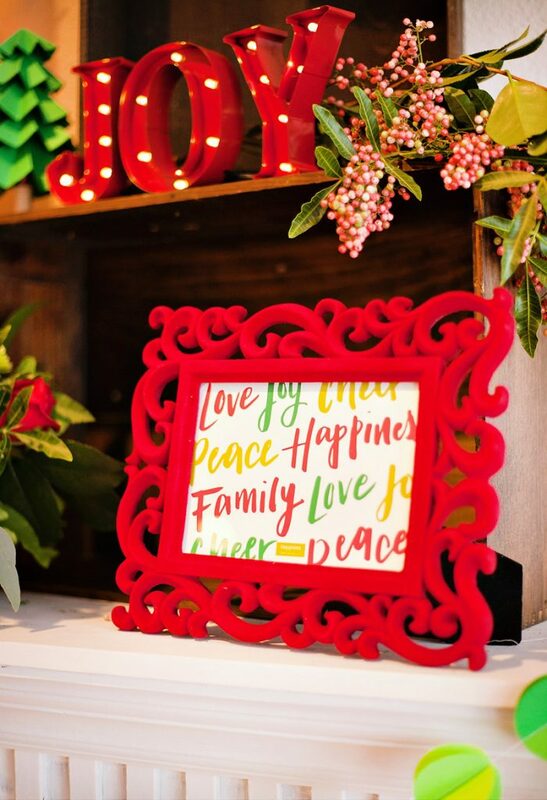 When you send out your invitations, you can also send a reminder to order holiday cards so that they’ll arrive in time for your party. 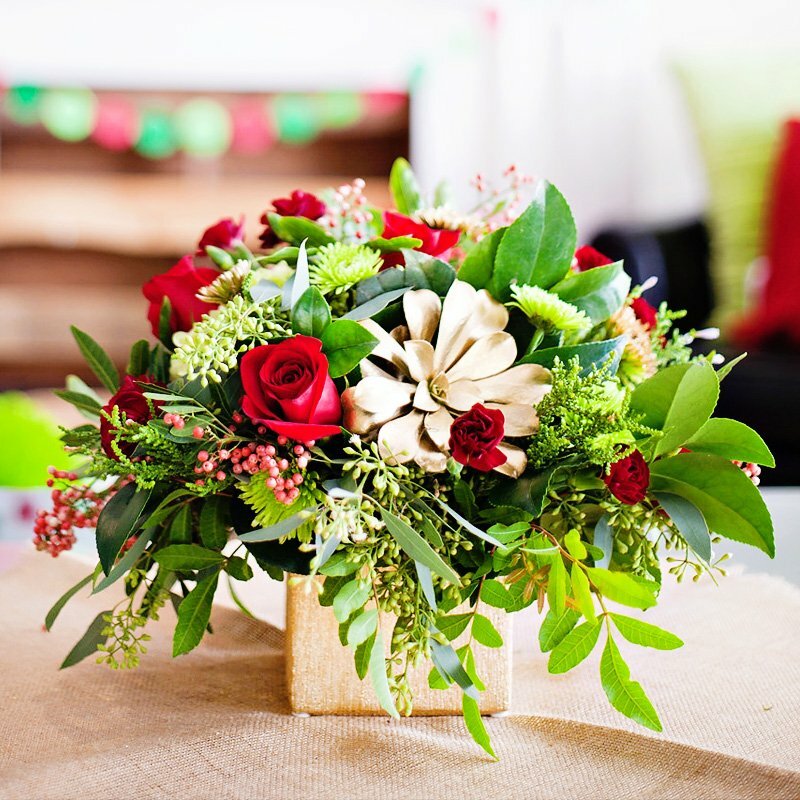 – Assembling and Addressing Holiday Cards: The envelope liners have been inserted, the cards have been stuffed, and the envelopes have been addressed and stamped! I had supplies on hand for everyone to use including fun pens, stamps, envelope sealers, foil seals, and extra postage stamps. It’s such a relief to have all of this done ahead of time this year. – Advent Calendar Prep: Our family has a Christmas book advent calendar where my daughter unwraps a book each day that we then read together. Over the past few years I’ve collected 24 holiday-themed books from library book sales, thrift stores, and even some leftover from my childhood. Now they are all wrapped and ready to pull out when December rolls around. 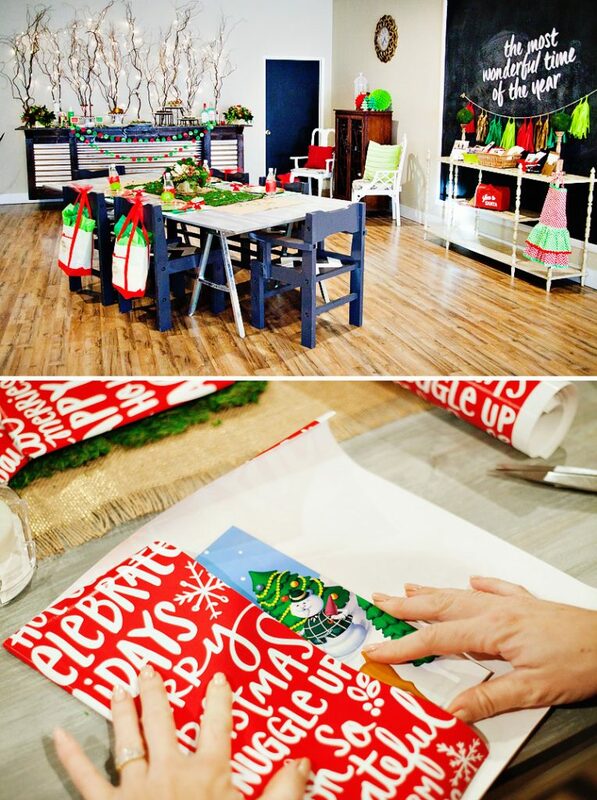 The personalized wrapping paper is optional, but such a nice touch. 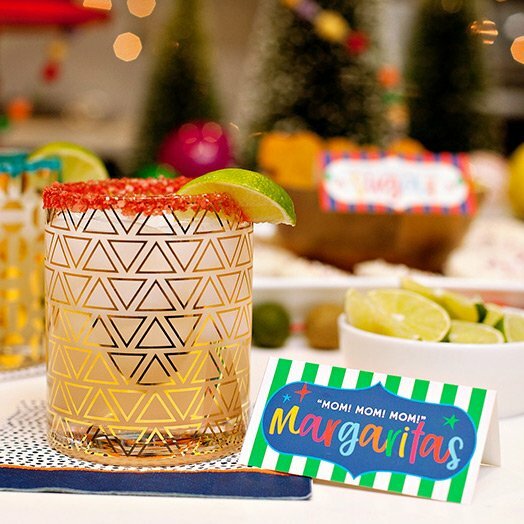 – Holiday Tassel Garlands: The Flair Exchange has ready-to-assemble tassel garland kits that are perfect for the holidays. 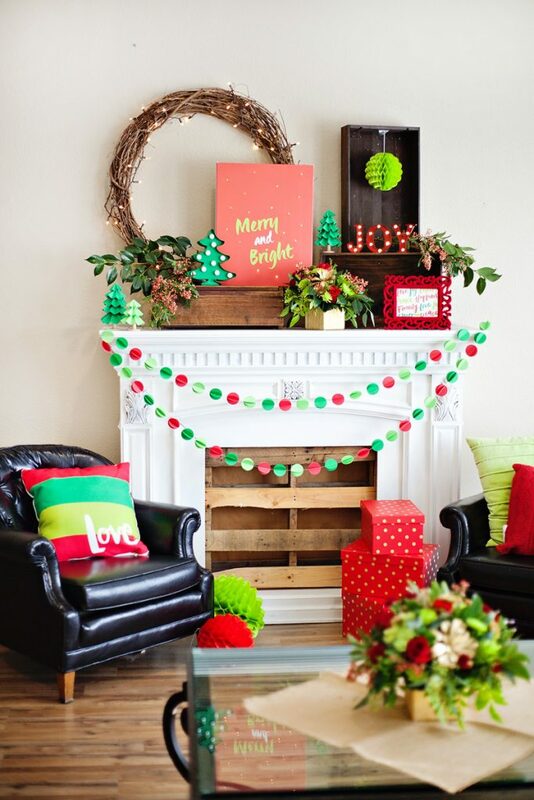 Even your less-than-crafty friends can easily make a beautiful garland for their fireplace mantle or wall. 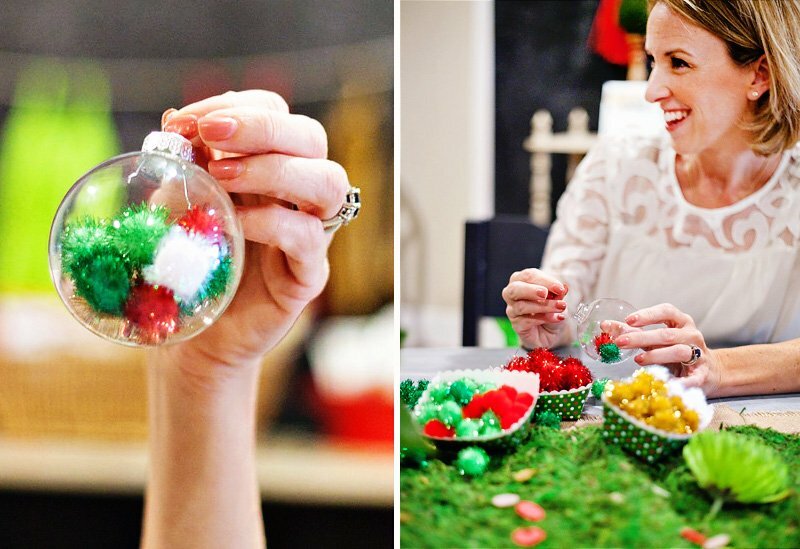 – Easy Ornament Craft: Stuffing sparkly craft pom-poms into clear glass ball ornaments is a quick way to make a beautiful bauble for your tree. 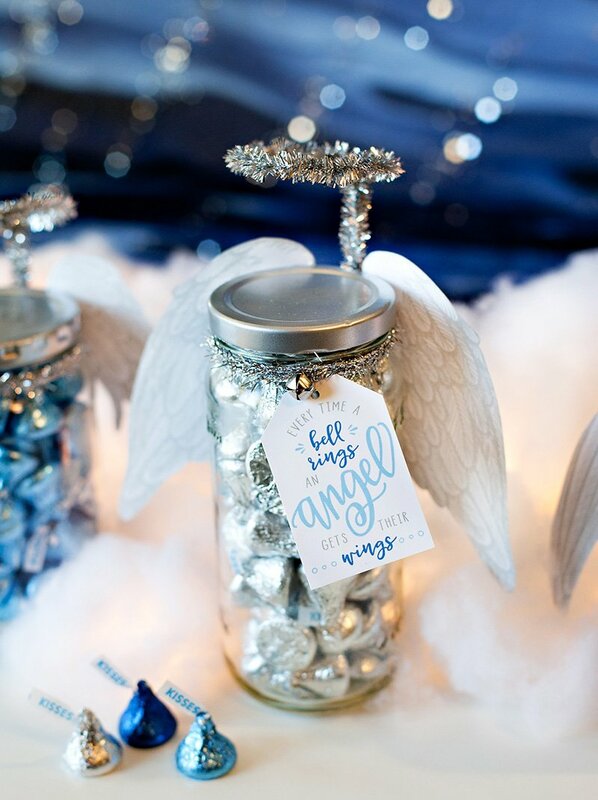 This is also an excellent craft to keep little ones busy if they’ll be around. 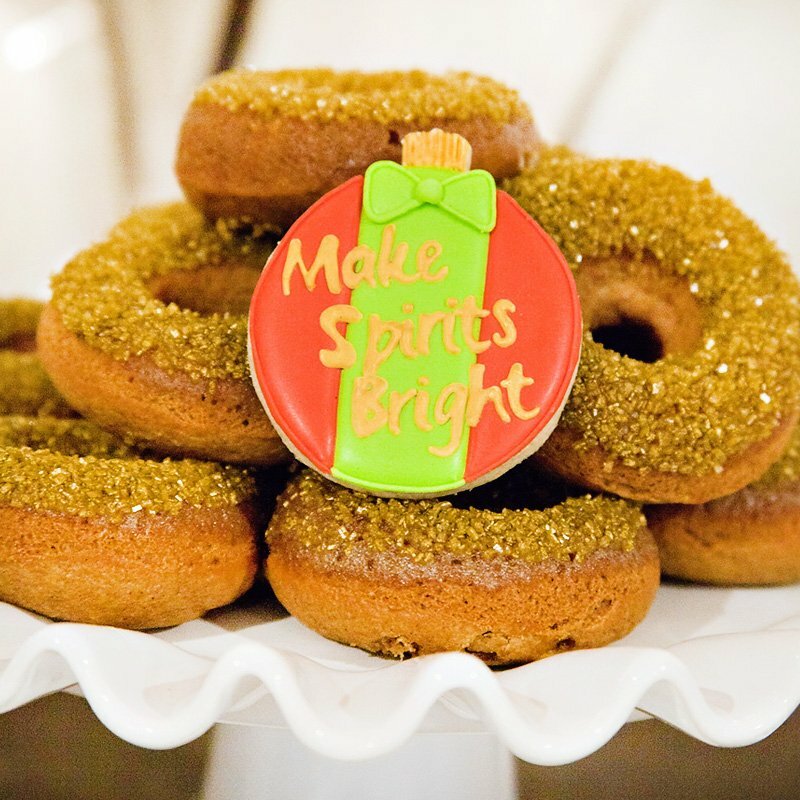 While we worked, we snacked on some easy-to-prepare appetizers, beautiful cookies, and gingerbread donuts. 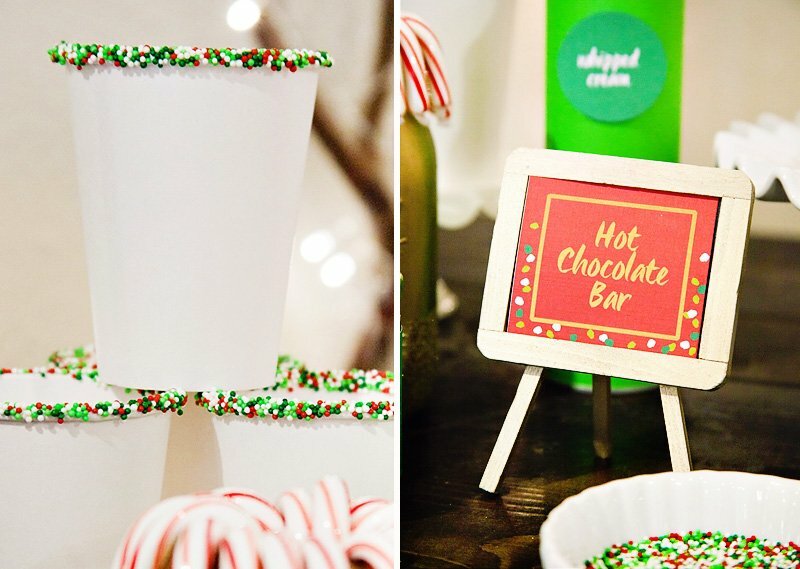 Sips included sparkling wine and a hot cocoa bar complete with sprinkle-rimmed cups. 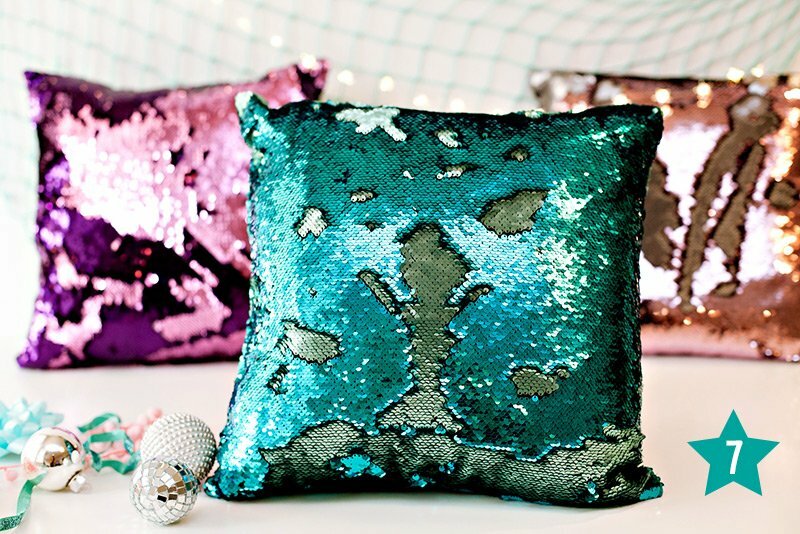 – The Merry and Bright canvas studded with tiny white twinkle lights. 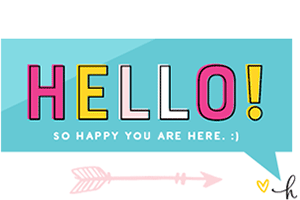 – Garlands! 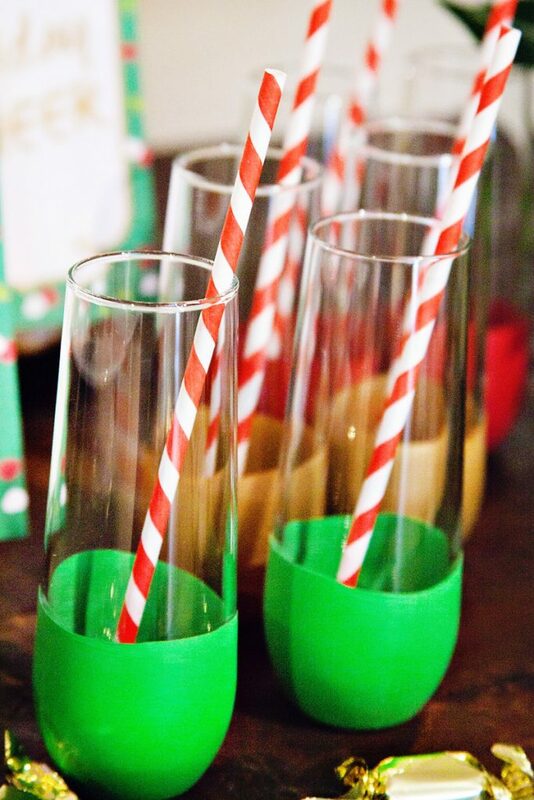 The 3D globe and Christmas bulb garlands are such a great way to bring color into your décor for the holidays. I provided canvas bags for guests to take home their cards and crafts. What a fantastic start to the most wonderful time of the year!